Salaita was previously using an unreliable, dysfunctional borehole. When it failed them, they had to walk long and far just to retrieve a single jerry-can of water for their family. 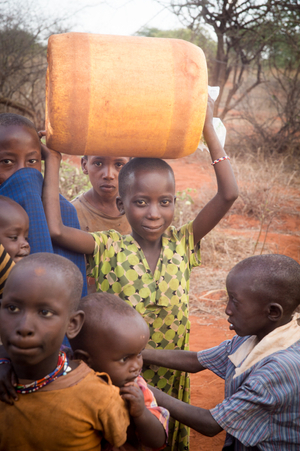 Young girls and women spent their days awaiting the opportunity to retrieve water. This resulted in their inability to engage in any economic activity because of the time spent retrieving water and then preparing meals for their families. 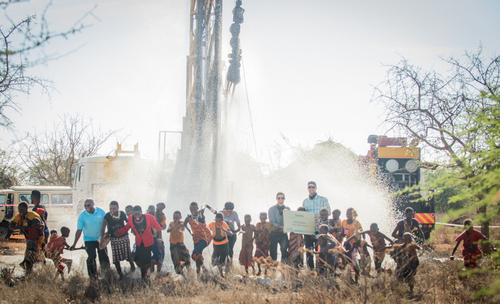 Those who were not lucky enough to retrieve water before the borehole ran dry would have to wait until the next day. Even worse, when the rainfall was scarce, they were forced to walk long distances (up to 7 miles) to look for water, sometimes facing animal attacks or inter-tribal conflicts over limited resources. Last year, two children lost their lives in an accident as they crossed the road to retrieve water from the next available water source. The community’s struggle with lack of clean water and general sanitation had lasted several years. The people of Salaita were sick and suffering from common and preventable water-related diseases like typhoid and diarrhea while children had been kicked out of school for “being dirty” and were unable to continue their education. Thankfully, with the support of Moolah Marketing and the 2018 Shower Strikers, we are able to do something about Salaita’s water crisis. “I am spoiled, so spoiled. I have access to water, I have access to health care. 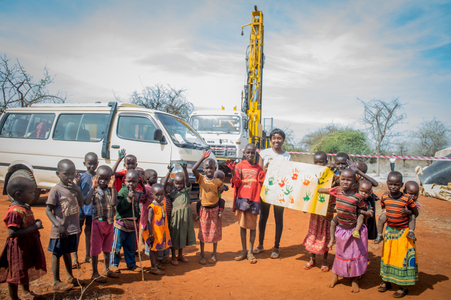 We were working with another project in Kenya when we found out that the community we were working with did not have access to water. 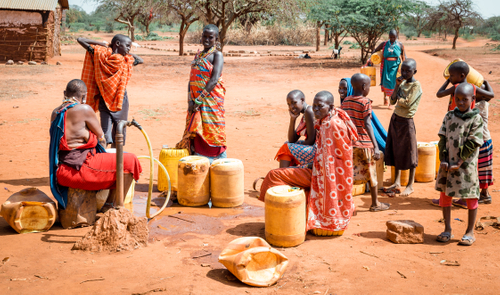 With the drought in the areas continuing, the diseases, hardships, and daily challenges due to water scarcity were only destined to continue… However, thanks to our spectacular supporters, we can dramatically reduce these challenges. With the provision of this basic human right, clean water, we are excited to see this community flourish and develop into a thriving, healthy population. You can affect this same impact. Give clean water to more communities like Salaita this year by joining Shower Strike 2019 or donating to the campaign.